Past Events | Complete Inspection Systems, Inc.
Click on the event below for further details. Anti-Counterfeit & Currency Expo (ACCE) is the only event that encompasses the entire currency & secure document supply chain. An exhibition and a conference in one, ACCE offers both a marketplace to source new suppliers and a conference program packed with first-hand experiences from a wide range of specialists, a first for shows in this arena. With no delegate fees, ACCE is the most accessible, budget-friendly event on the market. Security is of utmost importance; our vetting process ensures only attendees who meet our eligibility criteria will be granted a pass. 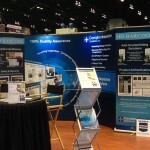 Complete Inspection Systems & HD Barcode will show off all of their Anti-Counterfeiting solutions. More than 2,300 exhibiting companies. Complete Inspection Systems displayed the most advanced automated vision inspection systems on the market. Our line of Image Comparators have been implemented at Printing and Packaging companies around the globe for over a decade. Our line of Image Comparators have been implemented at Printing and Packaging companies around the globe for over a decade. The HD Barcode is a robust 2D code capable of securely storing an immense amount of data that only authorized personnel can obtain through proprietary reading applications. PACK EXPO Las Vegas and co-located Healthcare Packaging EXPO are designed to help you showcase and sell your innovations to powerful buyers from top CPGs and pharma/biopharma, nutraceutical and medical device manufacturers. One booth, three days, powering enough sales for your whole year. Reach 30,000 industry professionals under one roof—plus thousands more who visit the shows’ websites. Expand into new markets. Buyers come from 40+ vertical industries, and attendees can visit both shows. Establish a global reputation. 5,000 buyers come from outside the United States. Meet decision makers from across the supply chain. In 2017, No other show offers companies on the East Coast so much in the way of packaging innovation, education and inspiration— 400 top suppliers in 100,000 net square feet of exhibits. Come with your whole team for an eye-opening, energizing experience! Complete Inspection Systems will be displaying the most advanced automated vision inspection systems on the market in booth# 1219. Our line of Image Comparators have been implemented at Printing and Packaging companies around the globe for over a decade. CIS representatives will also be demonstrating the most advanced 2D code on the market. The HD Barcode is a robust 2D code capable of securely storing an immense amount of data that only authorized personnel can obtain through proprietary reading applications. LabelExpo Americas, launched in 1989, is the largest event for the label and package printing industry in the Americas – the best opportunity to launch or promote your products. The previous edition attracted 17,407 attendees from 88 countries, who came to see over 450 exhibitors occupy more than 201,000sqft of space. Complete Inspection Systems displayed the most advanced automated vision inspection systems on the market. Our line of Image Comparators have been implemented at Label Printing companies around the globe for over a decade. The future is bright for flexible packaging and pouches. Flexible packaging – worth $210 billion – now accounts for a quarter of the world’s total $800 billion market. That’s been a remarkable 30% growth in dollar terms in just five years and the forecast is for increases that will outpace many countries’ GDP. According to leading research firm Smithers Pira, the global flexible packaging market (industrial and consumer) is expected to rise 3% a year to $248 billion by 2020. Pouches are the fastest-growing segment in flexible packaging, accounting for close to $10bn of the total. 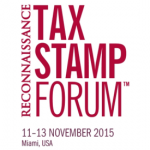 The objective of the Tax Stamp Forum is to bring these groups together – government excise and customs agencies, investigators and law enforcement, regulators, cigarette and liquor manufacturers and distributors, security printers, supply chain specialists and integrator, suppliers of authentication and serialization technologies – to hear about and discuss the latest developments in tax stamp systems and learn from one another about requirements, best practice and potential solutions. 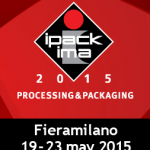 IPACK-IMA is a global system exhibition showcasing every stage of the production chain in the food and non-food industry, from processing, packaging and warehousing through to the sales counter. IMI’s unique annual Ink Jet Printing Conference is the only U.S. ink jet printing industry event devoted entirely to Ink Jet printing technologies, markets and applications. Stop by our tabletop and learn about successful implementation of Ink Jet in Barcode & Human Readable Data Applications. We hope that all of your questions were answered about our advanced Inspection Systems, Brand Protection Methods and Anti-Counterfeiting Efforts. We demonstrated our flagship print inspection solution AutoProof Pro™ that is designed to help QA/QC professionals detect and resolve errors in their content before products reach end users. We also demonstrated our new HD Barcode™ solution for Anti-Counterfeiting and Brand Protection. HD Barcode™ is a proprietary 2D code capable of storing up to 703KB of secure data. This configurable code embeds all data which allows authorized personnel to decode the information without an Internet connection or database look-ups. 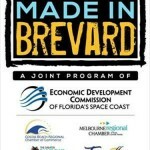 Investor Update Meeting to celebrate manufacturing and diversity of products Made In Brevard. 10 Annual Security Printing Conference to address the challenges and opportunities of dealing with security issues and enabling brand protection for products and the production of secure documents for a wide variety of applications including business documents, ID’s, currency, gaming/event tickets, travel documents, etc. Law enforcement agencies across the world turn to IACP for the education and solutions they need to ensure they’re prepared to tackle the most pressing issues, especially through a challenging economic environment. Florida’s Premier Technology & Innovation Exposition. Exposition showcased technology companies in hot industries, including: Aerospace, Composites, Consumer Products, Emerging Technology, Homeland Security & Defense, Information Technology, Manufacturing, Robotics, Simulation, Telecommunications, & Transportation. September 28 – October 2, 2013 Boston, Massachusetts. The Regulatory Convergence, where people from industry, agencies and universities all over the world come together. They teach, learn, share ideas and make connections in a safe harbor environment, where the common denominator is an ambition to find out more and push things further. Explore and discover innovations in the pharmaceutical and biotechnology industries. INTERPHEX is the leading annual pharmaceutical and bio-pharmaceutical trade show. Key decision makers find the networking opportunities, products, services and information they need to ensure quality and maximize efficiency, agility, and flexibility that solve manufacturing and supply chain problems. INTERPHEX is where intelligence and passion intersect with the full spectrum of industry products and services to create new insights and innovation. PACK EXPO International 2012 delivered the largest PACK EXPO International in history – with over 1,800 exhibitors, over 1.1 million square feet of exhibit space and record-setting registration numbers. Thank you for everyone who visited our booth! Should you have additional questions or would like to request a personalized demo, please CLICK HERE for request form. ASIS International is the leading organization for security professionals, with more than 38,000 members worldwide. Founded in 1955, ASIS is dedicated to increasing the effectiveness and productivity of security professionals by developing educational programs and materials that address broad security interests, such as the ASIS Annual Seminar and Exhibits, as well as specific security topics.